Marisa de Azevedo Monte (born July 1, 1967 in Rio de Janeiro) is a Brazilian popular singer. While classically trained in opera singing, she grew up surrounded by the sounds of the Portela samba school, and combines diverse influences into her music. After failing to break through 1980s Brazilian Pop rock she went to semi-exile in Italy where she met the famous producer Nelson Motta (soon her boyfriend). Thereafter she became a hybrid of MPB diva and Pop rock performer. While most of her music is in the style of modern MPB, she has also recorded traditional samba and folk tunes, as well and songs performed by Marvin Gaye, Lou Reed and George Harrison. Much of her work has been in collaboration with musicians/songwriters Carlinhos Brown, Arnaldo Antunes, and Nando Reis, and producer Arto Lindsay. She has also worked with foreign artists such as Laurie Anderson, David Byrne, Ryuichi Sakamoto, and Julieta Venegas. In 1996, she contributed a version of "Waters of March", in a duet with David Byrne, to the AIDS benefit compilation album Red Hot + Rio produced by the Red Hot Organization. She also collaborated with Bonga and Carlinhos Brown on the track "Mulemba Xangola" for the AIDS benefit compilation album Onda Sonora: Red Hot + Lisbon produced by the same organization. 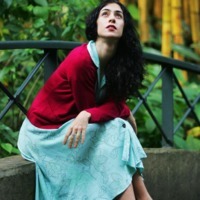 Marisa Monte is unique as a Brazilian artist due to the fact that she owns the rights to all of her songs; it was the main demand to renew her contract with EMI Music.